Shopping for Sailor Moon Watches? 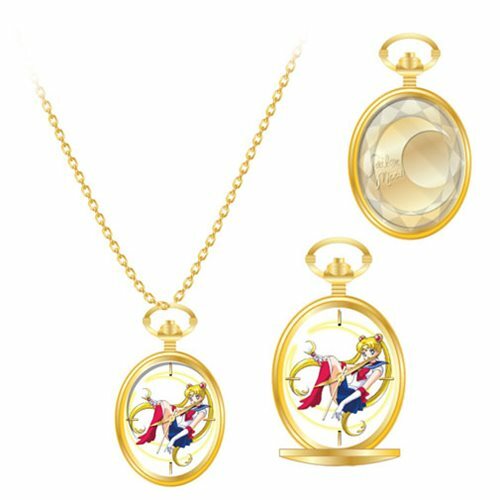 The Sailor Moon Reverse Crystal Pendant Watch features a gold pendant watch with faceted crystal and faux gold chain. Push the top of the pendant to reveal Sailor Moon and a watch.